Thank you to the United Way of Rhode Island and the After School Leadership Circle for inviting me to speak this afternoon. My name is Emily Ustach and I am the director of programs for New Urban Arts, a nationally-recognized community art studio for high school students on Westminster Street in Providence. For the past 21 years we’ve provided free afterschool and summer programs that build sustained mentoring relationships between high school students and trained artist mentors. Our mission is to build a vital community that empowers young people as artists and leaders to develop a creative practice they can sustain throughout their lives. New Urban Arts was started back in 1997 by 4 high school students and 4 college students. This school year, we enrolled 650 students with an average of 70 students attending each day. To give those numbers a little bit of context, you should know that young people come to New Urban Arts completely voluntarily. So that’s 650 – high school students – electing – on their own, to engage in an after school program. And 70 students each day actively attending – without someone telling them to – an after school program. Student interest and demand for afterschool is not new information to anyone in this room who works in after school. But if you don’t – I’m saying this because the demand is there. The demand from young people and their families for out of school programs is strong. The students are there. They want to be engaged. They want to be challenged. They want to experience learning environments and programs that are different from the school day. And it is so important that they have that opportunity. On our year end survey, we ask students how we can improve our programs. Some of the most common response are: “You should stay open until 8pm.” And “There shouldn’t be a break between school year and summer.” If it was up to students, we would be open 24 hours a day, 7 days a week, 365 days a year. The demand is there. At New Urban Arts, we have been able to meet this demand because of sustained, consistent and predictable funding that is guaranteed over multiple years. 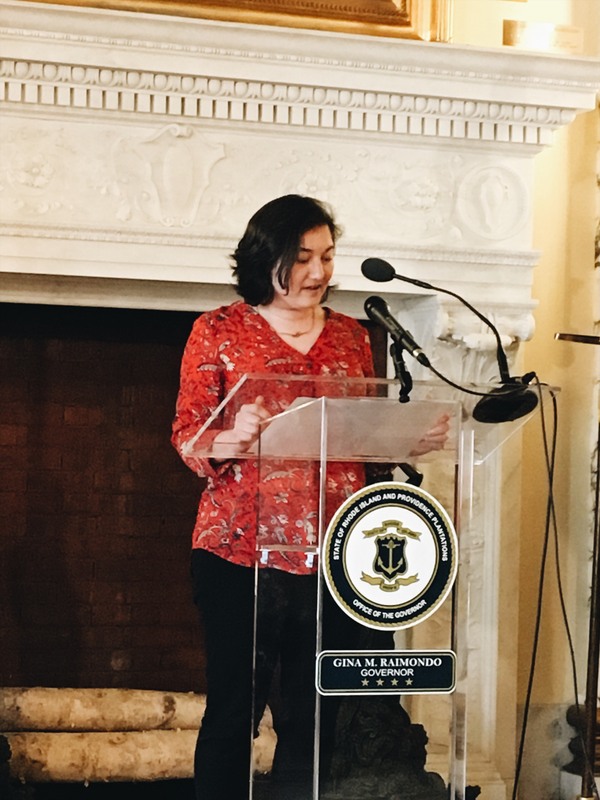 The two most consistent funding sources are the 21st Century Community Learning Center program – a federal program operated by the RI Department of Education — And the United Way of Rhode Island. Both of these funders not only provide consistent financial support, but they also come with professional development for our staff and teaching artists, and opportunities to connect with the wide network of after school programs across the state. Our most recent grant from the United Way allowed New Urban Arts to expand post-secondary support for students graduating from high school. Through this funding we now have a full time staff member completely devoted to ensuring that all of our graduating seniors have a plan after high school. It was also through this funding that the United Way connected us to other organizations working to support young adults transition to college and career. We were connected to RIC’s Learning for Life program and are able to provide seamless support for our students attending RIC through this new relationship. So the demand is there – and we know that sustained, consistent and predictable funding is key to helping us meet that demand. There is also an opportunity before us. Over the past year, I have been getting to know after school programs across the country through the National After School Matters Fellowship. There are two things that stick out to me from my conversations with practitioners across the country. RIDE’s decision to allow 21st CLC funding to support high school programming – that is a model that doesn’t exist everywhere. The statewide professional development and learning communities that are gathered by the ALC and 21st CCLC – they don’t (and can’t) happen everywhere. The degree program at RIC in Youth Development. We are leading the way. There is so much for leaders and the practitioners to be proud of when they think of Rhode Island and out of school programming. The demand is there. The knowledge and skill in how to meet the demand is there. We just need the funding to do so. Thank you.